We offer classic and volume lashes by Lash Affair. Kim is licensed by the Commonwealth of Massachusetts as a Master Esthetician/Makeup Artist/Lash Techician/Laser Technician. Laser Safety is the utmost importance to us at TO MAKE BEAUTIFUL! By not properly taking care of your lashes you can contract an infection such as blepharitius, lash mites or even lose your lashes. 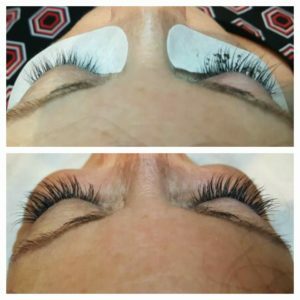 By having your lashes done by someone licensed and following the aftercare procedures carefully, this should not happen to you.